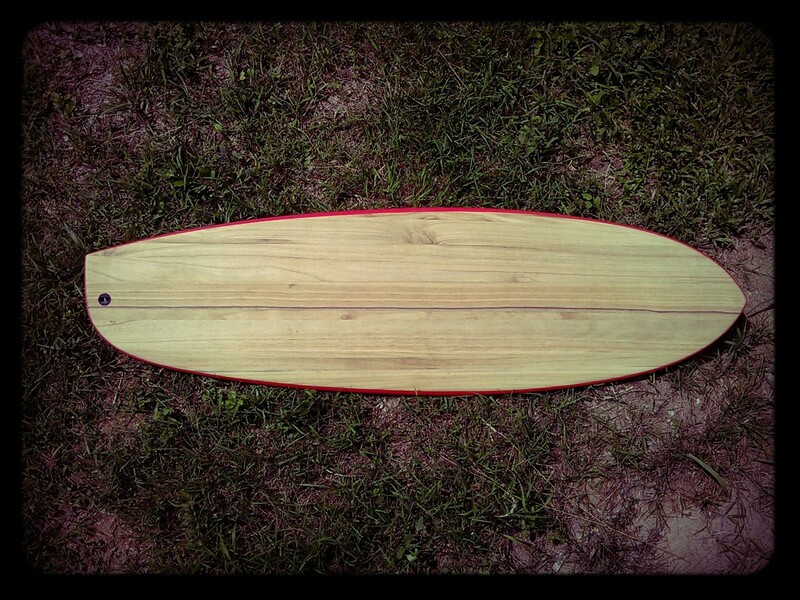 Trying new technology is a great excuse to build myself a board. 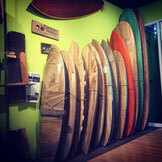 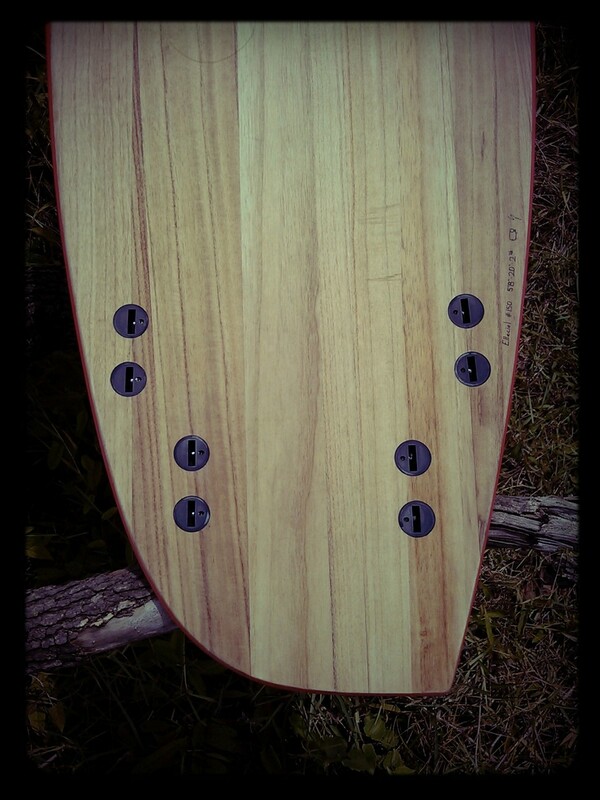 This with the old thought of walking on the asymmetrical way brought this board to life. 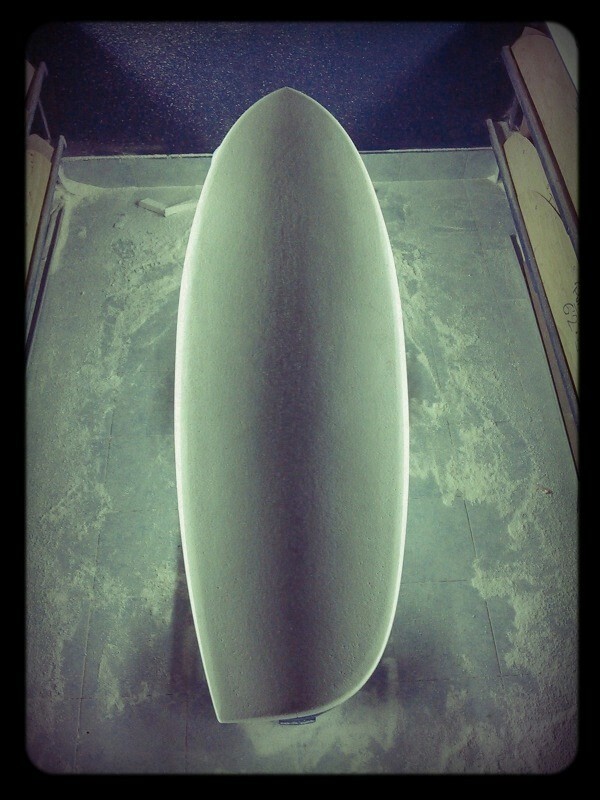 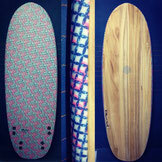 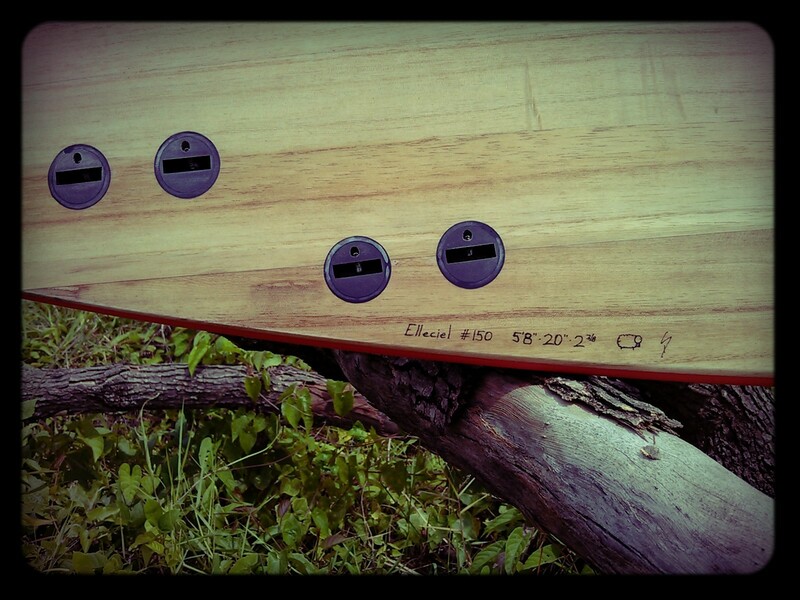 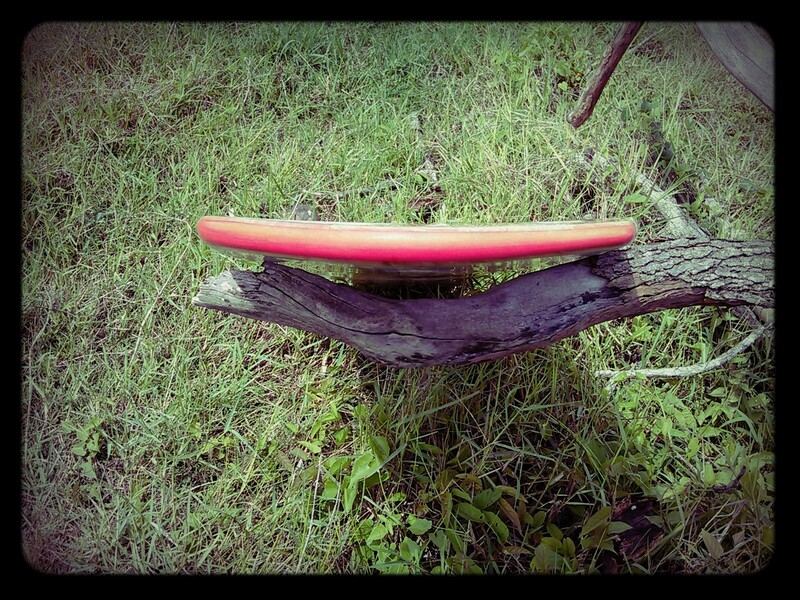 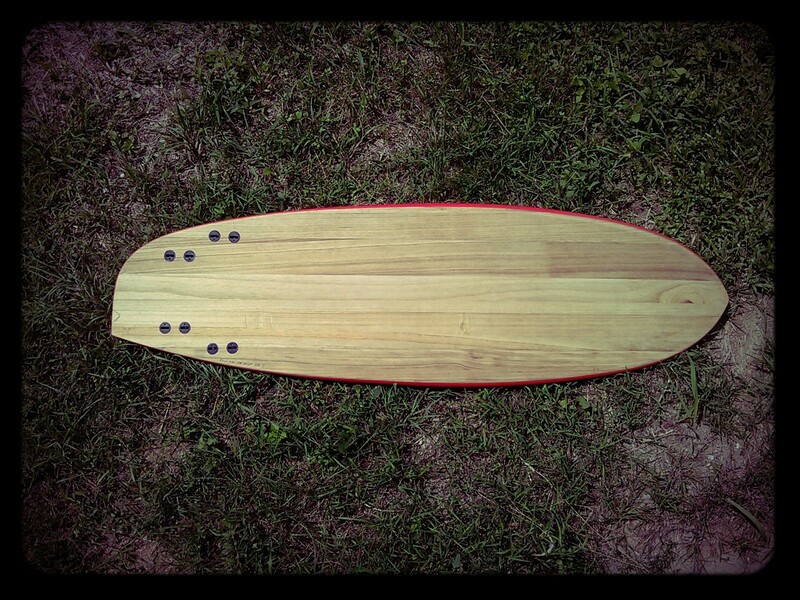 Single concave bottom with a quad fin setup (back fin on the round tail side is 10mm higher). 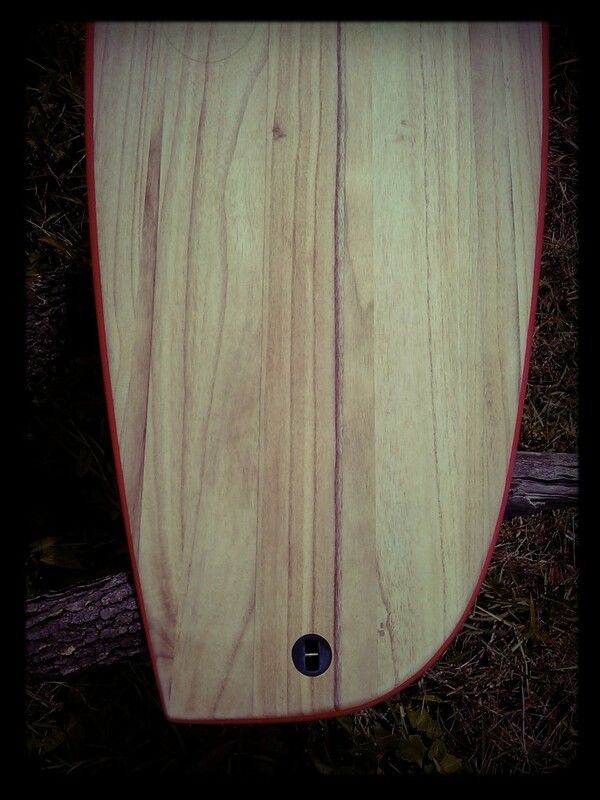 This board gets 2mm paulovnia wood on both side with no glass over it but 2 layers of coating epoxy (first one mixed with thinner). 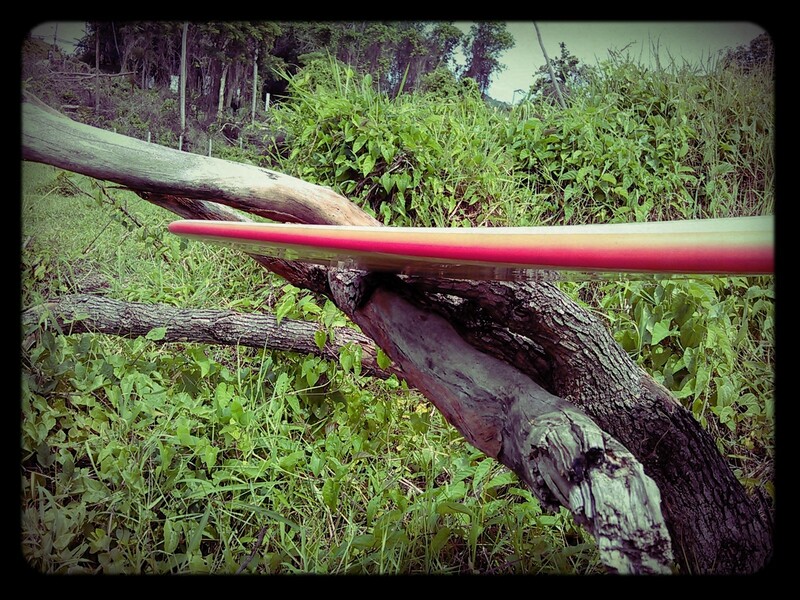 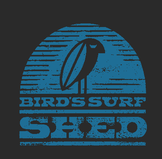 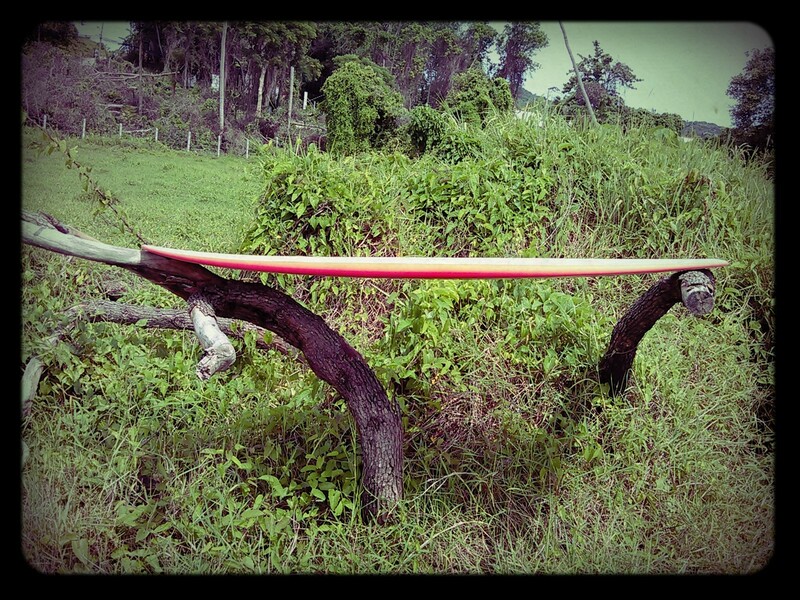 I’ve designed this thing for the bigger days at my local fast left hander break.